Cooperative Education & Internship Programs: The internship and co-op programs are designed to integrate academic learning with paid, planned and supervised work experience. The purpose of the programs is for students to gain relevant work experience while meeting the needs of the employer. Students may choose to work part- or full-time during the academic year or summer session. 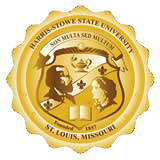 All Harris-Stowe students are required to complete an internship related to their academic majors during their senior year. Job Postings: Full-time, part-time, professional and seasonal job postings are posted in our office for 30 days (unless otherwise requested). Position descriptions can be mailed, faxed or e-mailed. In addition, employer information and applications are kept on file for students’ information. Employers can request access to Hornet Connect our online recruiting system to post job and internship information. Such requests can be e-mailed to CareerEngagement@hssu.edu. On-Campus Recruiting and Interviewing: Employers are welcome to schedule on-campus visits for recruitment or interviewing purposes. Employers may forward fliers or posters prior to campus visits in order to publicize the date and purpose for the campus visit. Resume Referral: Employers interested in recruiting for professional career-related positions may access resumes of students who have registered with Center for Career Engagement. Such access can be requested by contacting our office at CareerEngagement@hssu.edu. Career Fairs: Career fairs are held each spring to facilitate students' efforts to obtain company information and or meet employers who are seeking to fill internship, co-op and full-time career positions. Contact Center for Career Engagement in order to be added to our job fair mailing list. Mentoring Programs: Through the years, many students have benefited from informal and formal mentoring opportunities and job shadowing experiences. The Center for Career Engagement can help you connect employers with students who would like assistance with career planning and professional development issues. Employers are encouraged to contact the Center for Career Engagement in order to register as a volunteer mentor. Volunteer Speakers: A variety of events are coordinated by the Center for Career Engagement. Employers who are willing to serve as guest speakers are encouraged to contact our office. Partner Sponsor Programs: The Center for Career Engagement is seeking additional ways to partner with area employers in order to continue providing quality services. We welcome the opportunity to apply for any grants offered by your organization. Ask us about how we can partner with your organization.